It should be no surprise. It is all right there in the history books and the bloodline charts. Maryland has 300 years of Thoroughbred breeding and racing history. The Steuart family has 300 years of Thoroughbred breeding and racing history at their Dodon Farm. In 1725 Dr. George H. Steuart acquired a tract of land near Annapolis that he called Dodon Farm. In 1743, Steuart’s horse Dungannon won the first recorded formal race in colonial Maryland, the Annapolis Subscription Plate. Today the plate, which is really a bowl, resides in the Baltimore Museum of Art. A replica of the bowl was commissioned by the Maryland Jockey Club and is presented annually to the winner of the Dixie Stakes. The Steuarts, meanwhile, sponsored a revival of the Annapolis Subscription Plate at the Marlborough Hunt Races (which, we hope, are still on only a temporary hiatus). Except for a brief period in which the Catholic Church enjoyed ownership of Dodon, the Steuarts have bred, raced and foxhunted Thoroughbreds at Dodon ever since winning that historic race. The George Steuart family eventually became the Steuart Pittman family, and today Steuart Pittman, Jr. oversees the family horse business. Like his ancestors before him, he found a breeding horse whose performance and pedigree he believed in: Salute The Truth (or Willy, as he is called around the farm). Registered with The Jockey Club as Boy Done Good, Willy is by steeplechase sire Salutely and out of Good Queen Liz by Sir Raleigh. Willy is a half-brother to one of the greatest timber horses ever, Saluter. Willy’s dam, meanwhile, traces back to two of the Thoroughbred stallions that have had the greatest impact on American sport horses: Turn-to and My Babu. 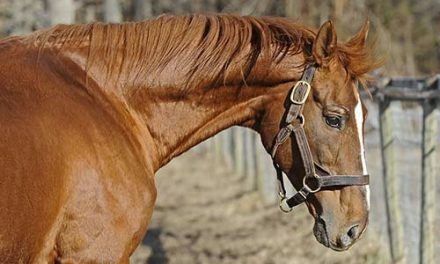 In 2003, Willy became the first Thoroughbred stallion to compete at the Advanced level in the U.S. since Denny Emerson’s Epic Win in the early ‘90s. But breeding, training and competing horses is not—and has never been—enough for Steuart. A former Chicago community organizer for the infamous Acorn (yes, he was one of those), Steuart believes passionately in the role of the grassroots in government. Like others in his area, he thought that Anne Arundel County was the perfect geographic location for the proposed Maryland Horse Park, and he passionately lobbied to make it a reality, helping to found the Anne Arundel County Horse Council. From there, his enthusiasm, dedication, organizational skills and vision quickly catapulted him into a leadership role within the Maryland Horse Council. Never one to shy from a debate, Steuart led efforts to have public conversations on all the critical issues in the horse industry, including conversations about what many in the Thoroughbred world believed to be a “private” matter, even though everything associated with parimutuel racing is publicly regulated, so there really are no “private” matters. It was a role somewhat fraught with PR danger, and while he earned the respect of some, others viewed this eighth-generation Thoroughbred breeder as an unwelcome outsider. Regardless, Steuart’s commitment to the Thoroughbred breed and to Maryland’s Thoroughbred industry never wavered. But Steuart also noticed that these new horse owners, while perhaps unprepared to handle their new projects, were passionate about their horses and proud of their horses’ track records and pedigrees. He realized that all these folks needed was a little help, a few tools and some basic understanding of the temperaments and proclivities of their former race horses, and these owners could have years of safe enjoyment with their Thoroughbred partners, as competition horses, trail horses or just as companions. It’s a simple idea: create a program that provided these owners with the necessary tools…and maybe, just maybe, in so doing, demand for retired racehorses could be revived, and off-the-track Thoroughbreds would no longer be a part of the “unwanted horse” crisis. Thus was born The Retired Racehorse Training Project. Launched in 2009, RRTP offers a variety of educational vehicles, including training publications, videos, clinics and creative, immensely popular public events such as the Retired Racehorse Trainer Challenge and the “Thoroughbreds for All” symposium. RRTP is not a rescue, a foster home or a retirement home for Thoroughbreds. RRTP is not about supporting pensioners or raiding auctions to save horses from slaughter. RRTP is about giving people the tools they need to own and ride a retired racehorse, so demand for the breed will be increased, so the horses don’t end up on the slaughter wagons. RRTP is about providing a productive future for retired racehorses as riding horses. When the demand increases, so will the value of retired racehorses. When the value increases, trainers will be more inclined to race them sound and retire them sound, eventually restoring the overall image of modern Thoroughbred breeding and racing. It is a simple, free-market concept based on the law of supply and demand. So enthusiastic is the leadership within the breeders association that MHBA quickly became the largest supporter to date of RRTP. The Retired Racehorse Training Project is a grand and noble experiment that is working, as we can witness in the recent surge of Thoroughbred-only shows. The RRTP will change the national Thoroughbred landscape, so it should come as no surprise that this Thoroughbred program was bred in Maryland. We have a 300-year history of raising the bar and setting the standards for all Thoroughbreds in America!